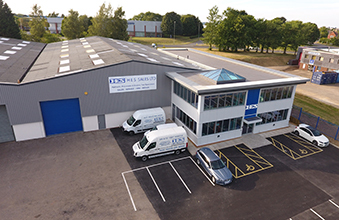 HES Sales Limited, our exclusive distributor in the UK, has recently relocated to a new, wholly owned facility on the Royal Oak Industrial Estate in Daventry. The new facility spans across 14,000 square feet and houses a 10,000 square feet fully equipped workshop and warehouse, plus an additional 4,000 square feet office complex, with a Training School and Conference facility. Having previously been located within the Hi-Force Limited head office, HES had simply outgrown its facilities requiring additional office space for the growing team, as well as significantly more workshop and warehouse space. The new facility has allowed HES to increase its workstations for the service and repair of hydraulic, pneumatic and electric tools, as well as incorporate separate training and calibration departments. An expansion of the HES hire fleet has also been made possible due to the increased warehouse space, as well as increased stock of supply items from across all of HES’s principal brands. H.E.S Sales Limited continues to be one of the most successful global distributors for Hi-Force Limited and their new premises is very much a testament to the success of the business.